We all want to fly-big ticket redemptions like Singapore Suites and Emirates First Class, but accumulating the miles needed to fly premium cabin awards can be tough. The key to redeeming these big-ticket awards is banking flexible rewards currencies. These are programs that partner with other loyalty and rewards programs, allowing you to transfer flexible points to airline and hotel partners. One of the biggest benefits of transferable rewards is that some mileage programs accept transfers from more than one flexible rewards currency. In fact, there are two frequent flyer programs that accept transfers from all five of the major flexible programs! Why is this such a big deal? Imagine you need 100,000 KrisFlyer miles for a redemption, but only have 30,000 KrisFlyer miles in your account. You can scrape together points in all five transferable points programs and transfer them to KrisFlyer. Holding points across a range of rewards programs allows you take advantage of award availability as it appears, no matter which program it's in. It also means you’re not locked into one program that may not have award availability to your destination, or coverage in that location in the case of hotels. 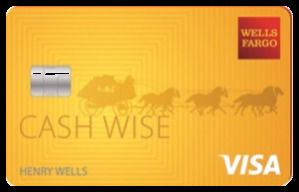 Chase Ultimate Rewards – The Chase Sapphire Preferred® Card earns 60,000 bonus points after you spend $4,000 on purchases in the first 3 months from account opening. That's $750 toward travel when you redeem through Chase Ultimate Rewards®. American Express Membership Rewards – The Blue Business℠ Plus Credit Card from American Express earns Earn 2X Membership Rewards® points on everyday business purchases such as office supplies or client dinners. (Terms Apply). Citi ThankYou Rewards – The Citi Prestige® Card earns 50,000 bonus points after spending $4,000 within 3 months of account opening. Capital One Rewards – The Capital One® Venture® Rewards Credit Card earns 50,000 Miles once you spend $3,000 on purchases within 3 months from account opening. Marriott Bonvoy – The Marriott Bonvoy Business™ American Express® Card – Limited Time Offer: Earn 100,000 Bonus Marriott Bonvoy points after you use your new Card to make $5,000 in purchases within the first 3 months. Offer ends 04/24/2019. Terms Apply. It’s important to know which carriers accept transfers from multiple currencies. If your points are spread thin across all five flexible programs, then airline programs that accept points from multiple transfer partners become more valuable. 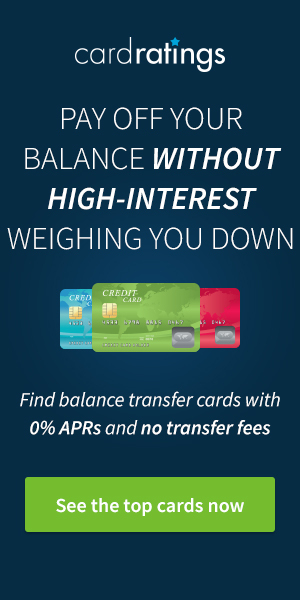 Transfer ratios of flexible rewards points to airline miles. Only Singapore Airlines and Air France/KLM let you combine points from all five of the major rewards currencies. The rest count just one or two transfer partners out of the five. Having fewer transfer partners doesn’t make these programs less valuable, but if the goal is to combine your points from flexible rewards programs into one carrier these programs give you the most options. The ability to combine points from multiple programs into a single carrier’s miles is a benefit with tangible value. Collecting flexible points also allows you to spread your card application and points strategy across multiple credit providers and rewards programs, somewhat insulating you from the constant devaluation of airline miles. If one transfer partner devalues its program, you can typically find another program within the list of partners offering similar value. Have a handy tip on transferring from flexible rewards currencies to frequent flyer programs? We’d love to hear from you in the comments below. Hugely useful, one-stop reference; bookmarked. Thank you! Thank you for all the information!! Great post! this is great to know! I didn’t know about the capital one rewards until I’ve read this! Thanks for the chart. Very helpful. Now that SPG points have been consolidated into Marriott, is anyone transferring Marriott points to airlines? If so, what are the best ways to do this, to maximize value. Howie: how about a post comparing all the tax filing offers out there? I just got an offer from AA, and there is usually an offer from SWA. I’d immediately second this, as I was just trying to do this myself, and it was a slog. Been spoiled by you all doing the work and consolidating offers for us! I don’t understand the transfer ratios chart. It needs a legend or more explanation. Thanks. Hey Cindy, thanks for reaching out. I’ll use Air France/KLM Flying Blue as an example. Hope that makes it a little more clear. Thanks, Jess. I get that. The chart looks different now than it did when it was first posted — it was lacking words. Now it is super useful. Thanks! I just figured out the issue. When reading this post in portrait orientation on an iPad the chart gets all messed up. That was my initial confusion. Interesting. In landscape that is fine. Thanks. Hey Cindy, thanks for letting us know. I will have our tech team to take a look. Very comprehensive article on a topic I haven’t seen covered that much. Thank you for the update indeed. I currently have the Chase Reserve but because of the annual fee I’m considering closing it. What will happen to my points? Do I transfer them first? Can the points be transferred to someone else’s account? Example my daughter’s South West account. I may consider applying for the Sapphire but I’m not sure if there is a waiting period after closing the Reserve. Please advise on both situations. Do you travel enough to get the $300 credit? That’s step one. Step two is using Priority Pass (it’s fantastic at some airports and useless at others). You could say step three is Global Entry but that’s not a huge perk. I’ll admit that I’m on the fence about keeping mine but I download my annual report each year and the numbers speak for themselves. Once I move and change airports, I’ll have to re-evaluate how valuable Priority Pass is to me. Or downgrade it to just the Sapphire card so you won’t have to pay any annual fee. Nice to see how usable Marriott Rewards are. Thanks for the excellent summary. I’ve recently had miles expire in multiple program since the balance wasn’t sufficient to do anything with. However, with consolidation, I think an option opens up. This is a good informative post with a nice table, but I with that there was an extra column that estimated transfer time for each transferable currency transaction. Many transactions are instant. Others take a while, and if there are limited award seats this can be an issue. By the time points transfer, award availability is no longer available. I currently only use Chase and love it so far with the flexibility. I am interested in the Citi as my next go around. Citi has been doing a good job adding more airline partners. I hope they will continue doing that as the TY Rewards program still needs better airline partners. Being able to combine all of these points made our trip possible on Singapore first class Suites!! This is definitely one of those bookmark pieces. Many thanks. This is great advice, and a great consolidated resource. I always recommend starting out with transferable currencies, and having all the ratios consolidated in one page is amazing. Another very helpful compilation of information. The table above is great! Thanks for this summary, I wish I had more opportunities to get flexible point cards… Being Canadian has it perks but it sure has restrictions for award cards. Nice roundup! Personally I use Chase and Marriott to combine points. After reading this, I feel that I’m making a wise choice! This post is the most valuable travel post I have ever seen. Thank you ever so much! Even better when you have a bonus offer. Good information. I hope to transfer miles via partners. I wish I knew about this process earlier. I’ve wasted many opportunities! It is nice, but it is a shame I can’t transfer my Spirit airlines to a different Airline or hotel. Great list!!!! Accumulating the miles needed to fly premium cabin awards can be tough, thank you for this reference list. Anyone have recent experience in transferring Marriott points to an airline? Yes I love being able to transfer from Chase to United! It helps top off my account to redeem for flights. I like having options and Chase gives me those. I’m focusing on getting an Amex card soon. I’m still on the fence about Citi and Capital One. I do agree with the poster who requested a column that states the (estimated) delay it takes for the points to transfer. I have lost at least one premium cabin award while I waited for the points to transfer — it’s best to know the risks. Mary, this is something we are actively working on and hope to have all the info finalized shortly. Will update the post and table when we have all the transfer times confirmed. It is useful having an airline program to consolidate small amounts of points into for a redemption. Although often poor value it can also be useful to consolidate small amounts of hotel points into an airline program if you are never going to earn enough for a hotel redemption. any recommendations on how to combine JAL points and Singapore airline points (both expiring late this year) for 4 business class tickets from USA to ASIA? what transfer options and what partner airlines can I book 2+2 biz class tickets on? As living in Europe there are not so many opportunities anyway. I hope Marriot ups it’s game and gets faster transfer times….or at least make a huge bonus to validate the long transfer time. New to the site today, looking forward to learning and contributing as much as I can. Thanks for the comprehensive list. The Marriott transfer ratios appears fairly standard across the board with the major exception of Air New Zealand Airpoints, any idea why this is off the charts at 200:1? Air NZ operates a revenue based rewards currency called Airpoints, and every Airpoint is worth NZ$1 towards airfare. Most transfer partners are 3:1 as the miles you are transferring points into are worth roughly 1.5 cents per mile. The 200:1 transfer ratio reflects the higher value of Airpoints (although we don’t recommend transferring points to Air NZ as the value is terrible). Jess, thanks for the feedback! I didn’t even know you could do this! How useful to know. Appreciate the article as flexibility is always the key to making adventures possible. Jess, this is super useful; thank you! 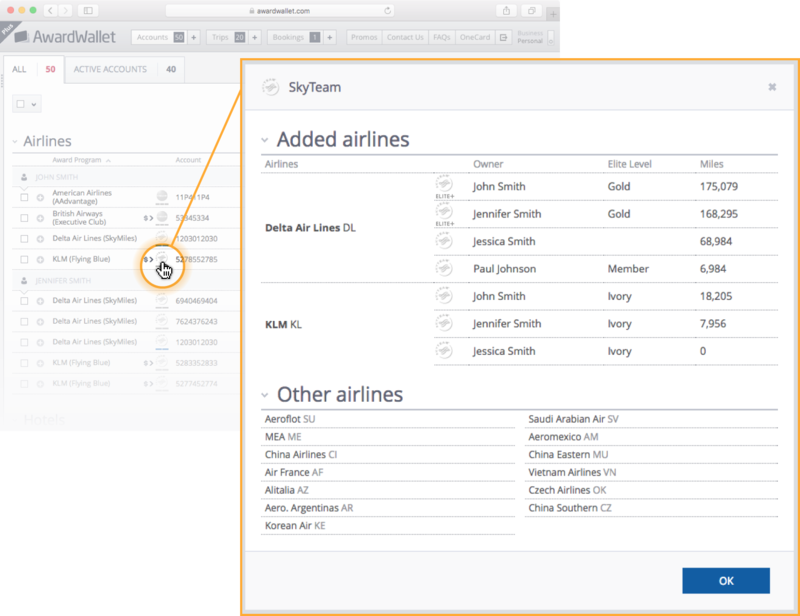 I knew that certain airlines (e.g., SQ) had multiple transfer partners, but being able to access this information visually is a huge value add. Definitely going to bookmark this! Thanks Dan, glad you found it useful. Great article, very useful information. Thank you! Quite useful if you want to maximize your benefits!! On top of the regular transfer ratio, Marriott Rewards give a bonus of 5000 airline miles for every 60000 Marriott Rewards transferred. This is a very useful post. Thanks for putting all the information together! Shared this article with a few people, excellent reference. Being able to transfer flexible points to airline and hotel partners is very interesting and useful. Thanks! Great info to help plan for upcoming trips. The chart is super helpful! Thanks for posting. Wow – I did not know about some of these – thank you so much. Quite informative. The chart is especially useful. I don’t think I’ve ever seen anything like it before. Thank you. Cant wait to get my wife on a long haul first class reward flight. Thank you for this very useful guide! Thank you. I have been finding it increasingly difficult to earn flexible reward bonuses compared to airline specific bonuses. Great article, extremely helpful. I just received an email today that Marriott Rewards, Ritz-Carlton Rewards & SPG are all officially combined into Marriott Bonvoy now, with a new app and everything. I’m curious to see if there are any changes coming on the transfer rates now that the combination is completed. great post. I had no idea we can consolidate some of these points! I find CSR to be a great card that has value for me. The actual annual fee ends up being $150 if you take into account the $300 travel credit. For $150 you get the flexibility to transfer to other loyalty programs or redeeming them straight for travel at one-and-a-half the value that you would if you had other Chase Ultimate Rewards cards. If you redeem your points for a $450 flight you would have made back the $150 annual fee compared to redeeming that same flight with other Chase credit cards. We’ve been saving Chase & Marriott points – was planning on using them for hotels, but might do a nice flight instead for our next trip to Africa. Great post. Looks like Chase and AMEX are best in terms of transferrability. Personally, I have cards with both for coverage over most loyalty programs. I think that the capital one card allowing transfers is a game changer. I had the venture card a while back but the points required to get a flight were too high, now with transfer partners, I think it will be much better. Thanks for the article Jess. Very useful guide! Thank you. Bookmarked! Wow, I never knew this was even an option. Another great way to earn more airline miles! This is an awesome resource for piecing together award travel using a combination of AmEx, Chase and Citi points. Many thanks! Great article but would like to see broader partnerships from Chase. Thanks for the post. It’s also a great way to protect yourself from programs devaluations. FYI there’s a typo that says “AirFranace”. I am using SQ\CX\BA FFP. There is some niche in each program. Therefore, flexible program is good for frequent flyers. Hm… that is a very interesting option! I will look into it. Thank you! Great post, thanks for all the info! I am new to all of this so I am taking in all the knowledge you share. Thank, this is a great reference. I only collect flexible points now, it’s so hard to be tied to one program. I’ve Bookmarked– really useful summary, didn’t know most of this! Thanks again. Thanks for posting this info all in one place. Very helpful! I love this blog!!! This chart is so helpful! Definitely will bookmark it for future follow up. I noticed Ethiopia Airlines wasn’t on here. Are their points transferable? I have a few thousand points that I would love to transfer or donate. Thanks for the information! Need to be updated. I will probably say just leave them in your bank until you need to redeem them and transfer them onto the award. You will have more flexibility this way. Great chart with details! This is m go-to page now for award conversion/consolidation. This is a useful post, thank you. Nice to find alternative systems to consolidate accounts for redemptions. Thanks for a very useful post. I have stayed away from the bank points but you’ve made me reconsider that. ah! great chart to use as a reference in the future! Please keep this post pinned at the top and update this great chart. Fantastic list. Lots of consideration for partner travel. Chase has some of the best transfer options. This chart will be very useful in the future to find transfer options.